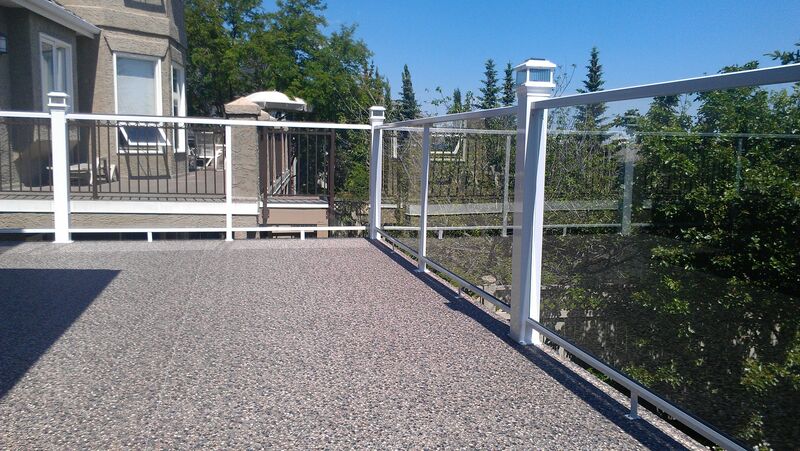 Giving the purpose of deck railings, you need a railing material that guarantees peace of the mind. Between aluminum and wood railings, you may be wondering which one is the best for you. We will consider the qualities of both railing materials so you can make an informed decision regarding what is best for you. The advantages of any product are in its qualities, although wood has been used for railing construction since the beginning of time, the need for better materials gave rise to aluminum railings. Here are the qualities of wood and aluminum and you can judge which is best. Aluminum Railings: The composition of aluminum makes it resistance to weather. As a non-ferrous metal, you will not experience excessive corrosion or rust or get adversely affected by the rays of the sun. It does come with low maintenance needs. Wood Railings: On the other hand, wood can get affected by harsh weather. It is subjected to mold with moisture and cracks under pressure. Aluminum Railings: One of the purposes of railings is to improve the aesthetics of a home or any construction and the fact that aluminum materials come in different designs. Colors and quality make aluminum a better option than wood. Wood Railings: Although wood is beautiful, its disadvantages make it unfit in term of beauty compared with aluminum. The best appearance of timber railing comes with fresh installation, as time passes it becomes a shadow of its original beauty because of environmental influence. 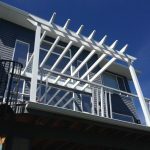 Aluminum Railings: On the overall, when you compare initial cost of installation with the cost of maintenance, aluminum is cheaper compared to wood. With aluminum, you are making one off investment. Wood Railings: Unlike aluminum, wood comes with high maintenance costs involving re-polishing or painting and treatment to prevent mold and mildew. These costs can add up fast, and in the end, you may have to replace the wood altogether faster than expected if you want to keep the railing looking healthy. Aluminum Railings: Aluminum will not cost fire hazard and will not rust if coated with powder coat. It does not depreciate in quality over the time of use. The painting remains the same over an extended period. Wood Railings: Fire can consume wood railing if exposed. The paint requires periodic changes two to three years if the aesthetics are to be maintained. It may require outright changes with time due to negative environmental influence. According to where you live, wood may need frequent treatment to protect it from pests that may damage it if proper care is not taken. 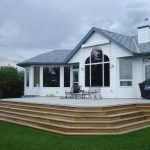 What marks the differences between aluminum and wood railings? The difference between aluminum and wood is the concern for the state of the railing after installation. While aluminum is worry proof, wood comes with lots of worries over its state, the aesthetics, and longevity. Aluminum in the hands of the right builder is cost effective and will make you proud of your home.